“Montesorri at home” is a special seminar for parents, focused on home use. That means that everything you learn will be aplicable at your home in your child´s bedroom. Seminar is for parents of kids age 2-7 in a group of maximum 4 persons. 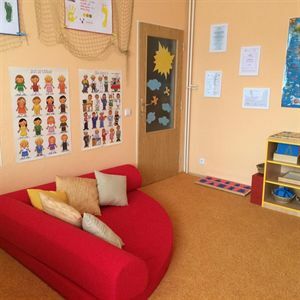 I will lead you through all Montessori areas of education and you will be ably to try and touch everything by yourselve and experience the work with essential tools. Jan Amos Komenský claimed: "The more senses you involve, the better you learn." The child is just exploring everything with its all senses. Sensory education is therefore focused on smell, touch, taste, hearing and sight. This educational area is very attractive for a child. It experiments with everything what makes sound, smells, is beautifully colorful, is made from all kinds of materials and is full of shapes, sizes and taste. You may be thinking that it is almost unbelievable that small kids would have wanted to go into something as "difficult" as math. You might be surprised but this area is very fun with the help of Montessori tools and it fascinates them aswell. 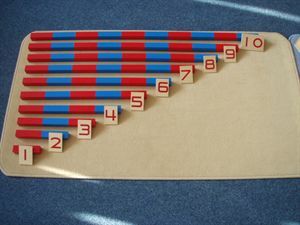 Maria Montessori was clearly a genius when she could had thought of simple tools for teaching small children such a "difficult" terms in math. Moreover the kids are able to understand this area easily. The child works with abstract concepts such as fractions, geometrical shapes, multiplication, dividing, 2D and 3D cube etc. It is so playful and easy that it will not want to leave this area! In our case it will be czech language. Despite the fact children first get to know letters once they are in elementary school, we all agree that children are interested in alphabet in much younger age. It is because children are "set" to learn to write and read (based on Maria Montessori research) when they are four years old. With Montessori pedagogy the child is taught to read and write as well as creating all kinds of stories and storybooks in that age. It sounds somewhat transdimensional, however this area includes simply everything that surround us - therefore for example: nature and space. Through cosmic education child is learning about history of life on Earth. Child is being led to independence and also to responsibility for its behavior, the education is directed to love to itself but also to love to others, nature and everything what is surrounding us. The child learns to listen, but also to promote their views. It also learns to peace and concentration. 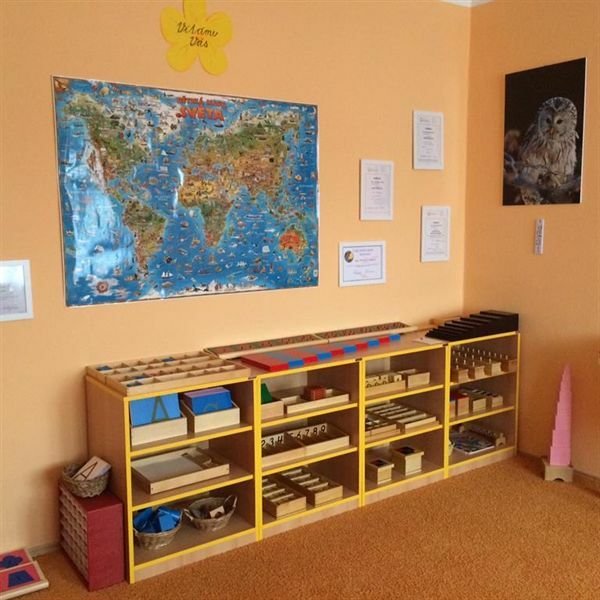 The area of Cosmic education encourages child to make all different kinds of Montessori tools, but also to variety of experiments and discoveries. An integral part of the seminary "Montessori at home" are activities on the elipse (ie. place, where child learns to correct body posture or calming whole body. There are aswell physical activities eg. dance or play on the body. Anyway - seminar "Montessori at home" is worth experiencing. It takes about 5 hours (can be longer based on individual parent´s needs) and is only for adults. Meeting point - Lysá nad Labem, time: every saturday from 10:00 till 15:00. It is necessary to reservate the date in advance (one seminar is for only 4 people to preserve quality and more individual help towards you. Seminar "Montessori at home" is not about knowing all of the Montessori activities, but about your ability to create Montessori environment at home, so you could point your child at right direction in life and so you could have a great feeling that you are bringing the best, the Montessori pedagogy can offer to your children. You can ger more information about the seminar after reservating. I will send you exact list of all activities via e-mail.